How Far is The Metro Legacy? The Metro Legacy one best in town projects of The Metro Estates is in one of the strategic locations of Hyderabad. The Metro Legacy is one of the luxury villa projects in Gundlapochampally, Hyderabad. You can find a 2BHK villa where it is both comfortable and compact also the luxurious 3BHK Villa is well planned with unique amenities and floor plan which is more efficient in terms of space management. The metro legacy will be one of the most searched projects by all the home buyers as it is developed with a deep insight of home buyers needs. This would also be one of the best investment projects in Hyderabad. Metro Legacy is a venture, situated in one of the fastest growing localities in. Just about 15 minutes from Dhola-ri-Dhani and ventures such as Palm Meadows, it is the perfect place to invest in. It is a 30-acre venture which is HMDA approved. The highlight of the project is its location, situated on the 60 feet main road (further future expansion plan according to govt), the project is just a 5-minute drive from ORR which gives you great connectivity to other areas in the city. 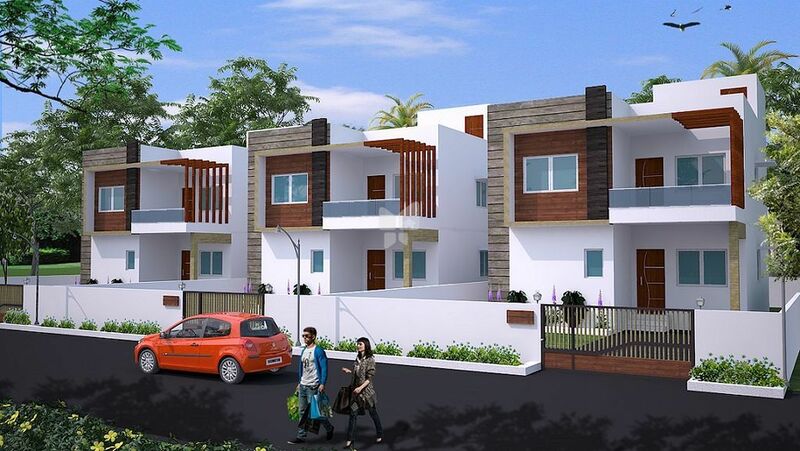 Its convenient location makes it close to both Kompally and Medchal town (one of the fastest growing areas in the city). Metro Legacy is also the most affordable option on the Gundlapochampally - Medchal road, which is surrounded by schools, colleges, close to Medchal Railway station etc. The Metro Legacy is developed with a decent number of amenities which would be the perfect dream home for all your needs. RCC frame structure with table moulded brick/block wall in cement mortar, external 9"walls and internal 4" walls. Sponge finishing in cement mortar for exterior and smooth finish for interior. Aluminium frames with MS Grill/Glass. Vitrified flooring, Granite platform with SS sink and dado in ceramics title upto 2 feet. Ceramic title dado, flooring with anti skid tiles, Branded sanitary fittings by Cera or equivalent brand. Concealed internal piping with chrome plated hot and cold bath fittings. Putty finish and Oil bound distemper for internal walls, enamel paint for wood work and snowsem for exteriors. Poly cab concealed copper wiring with adequate lighting and power points. The Metro Estates one of the realty developers in Hyderabad has been in the field for more than 20 years. Being set up in the year 2011 the builder has developed some exclusive projects in Hyderabad. 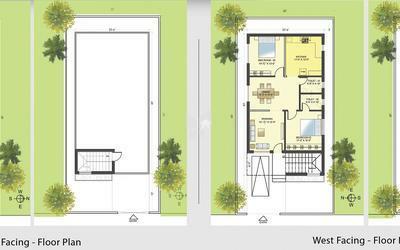 One of the main focus of the company has been Clear Title layouts with all residential developments. The Metro Estates has always focused on cost effective layouts and has made land affordable to most people. The builder has developed The Metro Legacy one of under construction projects of the builder is developed with 2BHK villa which is compact available for sale also the 3BHK Villa or sale in Gundlapochampally, Hyderbad. The builder has been renowned along the locale through his prestigious landmarks which has changed the skyline of Hyderabad.